Feeling like I wanted to use a "Just Some Lines" digi-image, I made a second card for the challenge. Isn't this Halloween image just adorable?! I colored the image with black pencils by Prisma, trimmed it out to pop the hanging items, used black Martha Stewart glitter around the wand, cut it with a Spellbinders nestability, and inked the stormy background. The sentiment was computer-generated and printed. I popped the nesting shape with thick dimensional foam dots from Ranger. Love this black and white version but the color one for APR is great too! For a first effort that's pretty amazing - so detailed and tidy....beautiful work. hi sweetie, ok, you win, I capitulate! 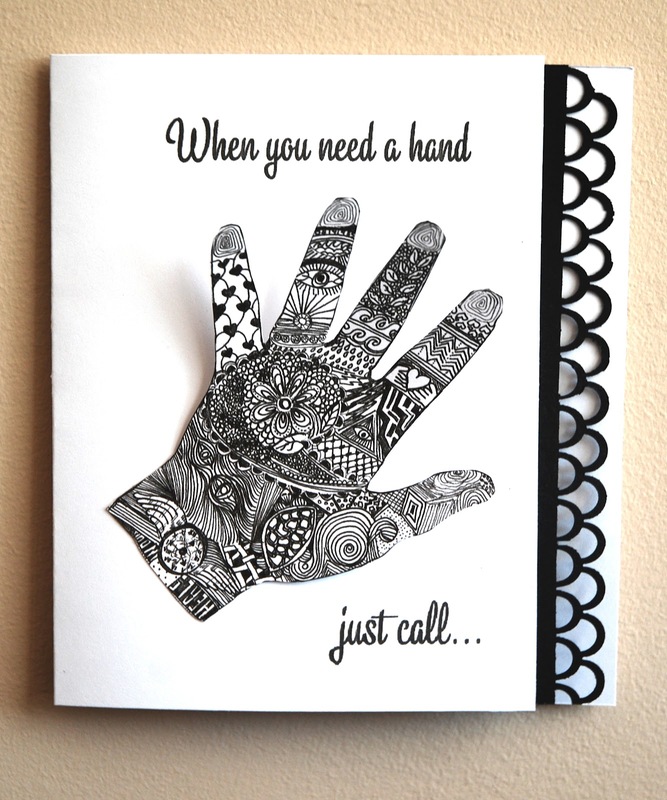 I was going to email you with a long winded line about how both hands are equally great, and I do love the colorful one but now that you've used the black and white in a card I LOVE it even more. So you and it wins. Ilike the colorful one but the black and white is even more stunning. I can't wait to see your new cards with your own artwork added in just like this one. STUNNING! I love the use of the hand in art. Your tangling truly enhances it. Bessings! What wonderful tangle designs in your hand print. i like the scrolls for the "fingerprints". 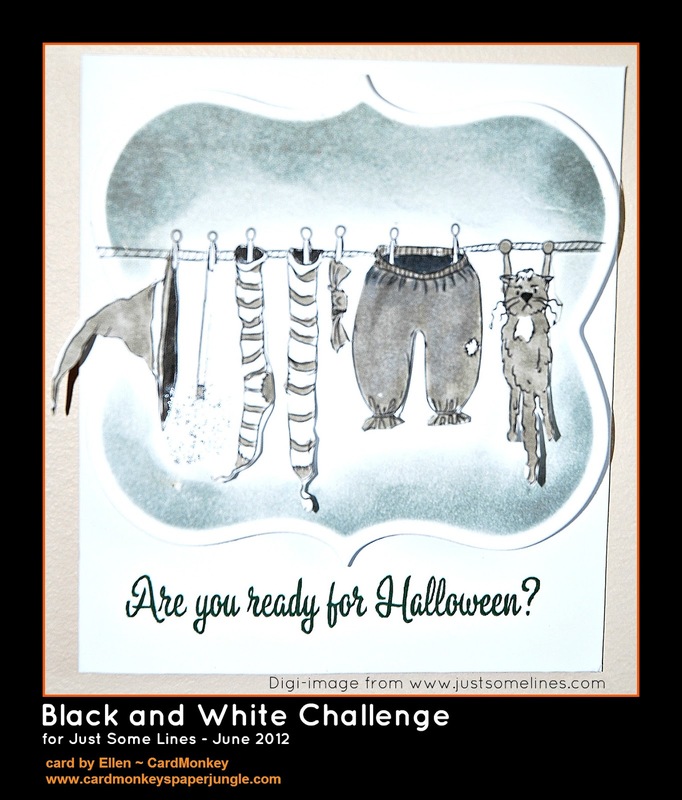 I love the black and white card version the best, so elegant and easy to see the designs.